Find answers to all your questions regarding our products, shopping experience and others. What are the differences between Travis One and Travis Touch? How do I set up Travis Touch? How do I connect Travis Touch to the internet? How do I translate with Travis Touch? How do I select languages on Travis Touch? How do I repeat a translation on Travis Touch? How do I change the volume on Travis Touch? How do I know my device is connected to internet? What languages are available on Travis Touch? Does Travis Touch work offline? Can I download languages onto my device to be used offline? How do I insert a SIM Card in Travis Touch? How do I switch the interface language on my Travis Touch? My Travis Touch interface is in Chinese, how do I switch to another language? How do I restart Travis Touch? Does Travis Touch work with earphones? What is Travis Touch’s battery life? I ordered a Travis Touch, can I upgrade to Travis Touch Business Edition? How do I update Travis Touch to the latest software version? I missed the update message, how do I update? What languages are available on Travis One? How do I setup Travis One? How do I translate on Travis One? How do I select languages on Travis One? How do I repeat a translation on Travis One? How do I change volume on Travis One? How do I switch the interface language on my Travis One? How do I connect Travis One to the internet? How do I restart Travis One? How do I update Travis to the latest version? Can I use Travis offline? What is Travis One's battery life? Touching the arrows is not working. My Travis interface is in Chinese, how do I switch back to English? What is the difference between press and tap? I ordered a Travis One, can I upgrade to Travis One Business Edition? How can I sync my Travis One Business Edition account? I missed the update message, how do I update my Travis One? My Travis One isn’t working properly. How do I pair my Travis Blue to my mobile phone? What languages are available on Travis Blue? How do I translate with Travis Blue? How do I replay a translation on Travis Blue? How do I select languages on Travis Blue? How do I go to the next/previous song? How do I change the volume on Travis Blue? How do I restart Travis Blue? Do I have to connect Travis Blue to the internet? What is Travis Blue's battery life? Will Travis Blue be updated? My Travis Blue isn’t working properly. What will I get when purchasing the Travis SIM card? Do I have to turn ON the data roaming manually? Will I be able to make calls? How long does 1 GB last with a Travis device? Is there an expiration data on the 1GB data package? Should I setup an APN to activate the SIM card? Which counties/regions are supported by this SIM card? What is Travis Teacher and how does it work? How do I install Travis Teacher on my device? How do I switch back to the normal Travis? 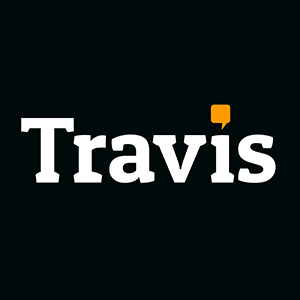 How do I install Travis Business Add-on on my Travis Touch? Install and sync your conversations! How claim my one year warranty? How do I register my Travis Touch? I've found a bug, what should I do? What is your language preservation program?